Available on both CD and on vinyl, in your choice of either splatter or blood red! SKU: CLO0987CD. Categories: Audio CD, Cleopatra, Punk, Rock. 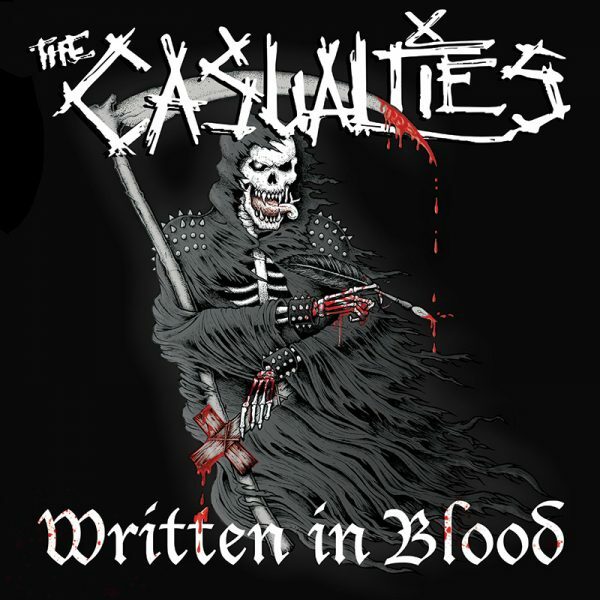 The blistering new studio album from one of the most revered American street punk bands on the planet, The Casualties! This is the first studio album to feature David Rodriguez (Starving Wolves, Krum Bums) on vocals alongside longtime members Jake Kolatis (guitar), Marc Eggers (drums) and Rick Lopez (bass)! Major US tour with Goatwhore scheduled to begin October 31st in New Orleans and going coast-to-coast through the end of November!